The MCC Museum showcases the rich history of the MCC and the ground it manages. 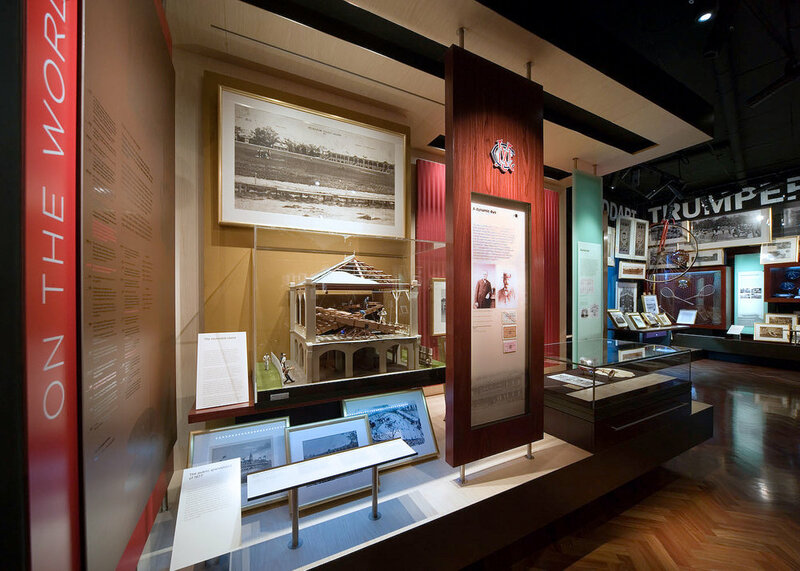 The 400-square meter Museum has more than 1500 artefacts on display, with the centrepiece being the story of the Mythical Ashes, where the club’s outstanding collection of related memorabilia includes the famous Blackham Ball and an exquisite silver “urn” from manager Frank Laver’s successful tour of England in 1909. Working closely with the MCC curators and the exhibition designers, BVD developed a graphic language that was used throughout all the graphic labelling and built display graphics.